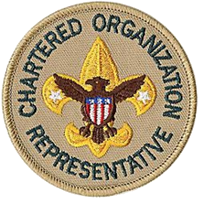 As chartered organization representative, Michael Tullier serves as the liaison between the Auburn Rotary Club (of which he is a member and the club's board director for public relations) and the troop by assisting with troop leadership selections and unit operations, and representing the Auburn Rotary Club at district and council Scouting levels. 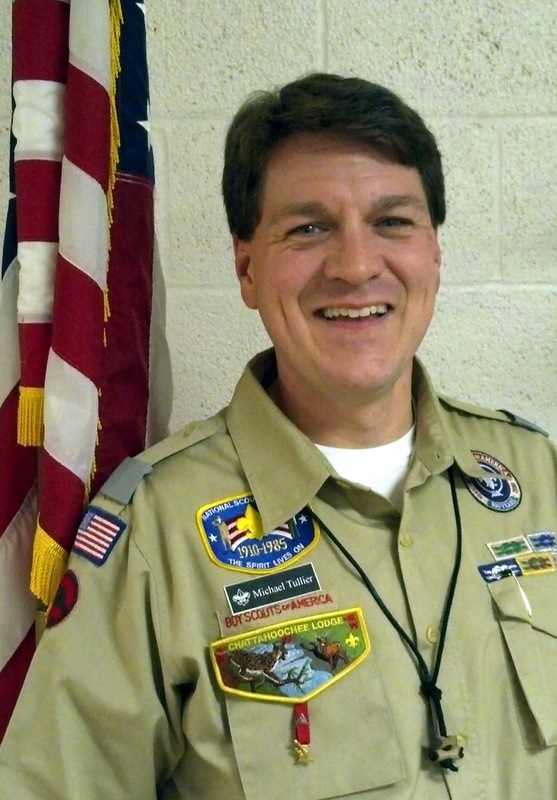 Michael has been involved in Scouting since a youth in the Attakapas Council (Alexandria, La.). An Arrow of Light recipient, he attended the 1985 National Jamboree, both earned Eagle Scout and received the OA Vigil Honor in 1989, and was presented the OA's Founders Award in 1991. He was a three-term Order of the Arrow lodge chief (Ouxouiga Lodge 264) and a Camp Attakapas summer camp senior staff member. He continued his regional and national OA involvement into college, serving several terms as section secretary and on the national vice chief's staff during the 1992 National OA Conference. After moving to Auburn in 1995, he has served in a variety of Saugahatchee District Committee positions in addition to positions associated with his sons' Scouting experiences through service as cubmaster, assistant scoutmaster, troop chaplain, and currently, charter organization representative for both Auburn United Methodist Church where he and his family are members, and the Auburn Rotary Club. He earned the God and Service Adult Religious Award and his Wood Badge beads, both in 2011, and served on staff as a troop guide for the council's most recent Wood Badge course. Professionally, he directs communications and marketing for the Auburn University Office of Development. His sons -- Davis, a Life Scout in Troop 50, and Jack, a first-year Webelos Scout in AUMC's Pack 29 -- and daughter Sophie are involved in a variety of sports. As a result, Michael and wife Dianna can be seen frequently cheering on the sidelines, breezing through the drive-thru or hustling around town in managing the family's plethora of activities.